Welcome to our blog, 'A word from...' where we share posts from staff at the Authority. 'A word from...' will cover topics relating to the work of the Authority, key events and activities, issues and matters relating to curriculum, assessment and standards for students in Western Australia from Kindergarten through to Year 12. Keep up to date with the blog through our RSS feed. Did you know that your school has provided your Year 12 enrolments to the Authority? You now have an opportunity to check to ensure that the information provided is correct. How do you check the information and when do you need to do this by? Year 12 students are able to check on their enrolments in courses by accessing the student portal at/via https://studentportal.scsa.wa.edu.au. The Authority will be collecting enrolments in VET and endorsed programs later in the year. As such, if you are studying these programs, they will not be listed at this stage. What do I need to access the student portal? To access the student portal, you need to have your WA student number (WASN) – which you can find out through your school. When you visit the portal for the first time you will be prompted to change your password. You will need to use your password each time you want to access the portal. You will need to visit the portal throughout the year to download various items (e.g. a copy of your Personalised written examination timetable) and to view your results. The Authority will keep you posted via Facebook and our website, so you know when details become available. A complete list of what you will be able to download can be found in the Year 12 Information Handbook 2019, Part I: Information for all students available on the Authority website at https://www.scsa.wa.edu.au/publications/year-12-information. When you log in to the student portal you will be required to complete the Student Declaration and Permission before you can gain access to your enrolment information. 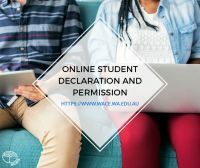 What is the purpose of completing the online Student Declaration and Permission? for sitting the ATAR course examinations. use of examination responses (written and practical). What do I do if the information in the student portal is incorrect? 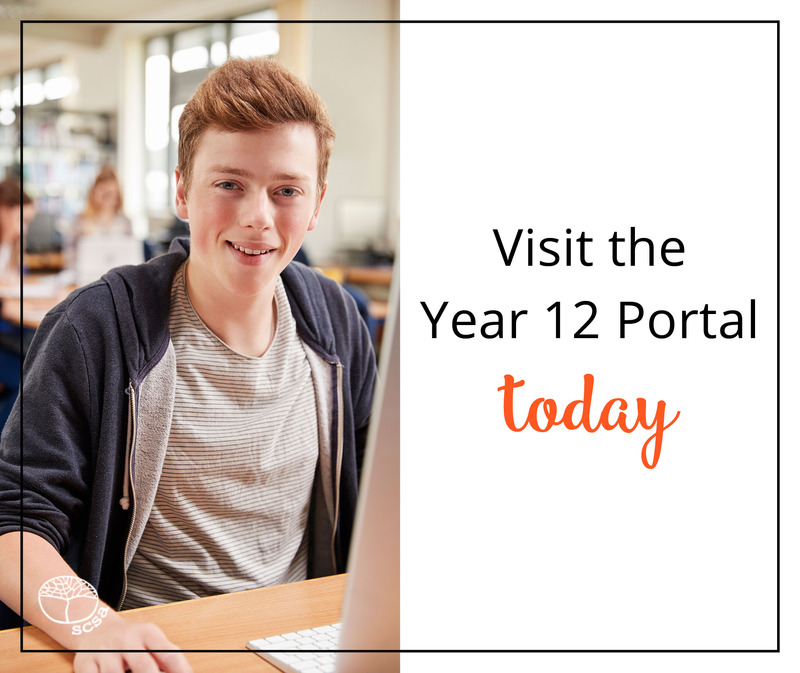 The student portal is a space for Year 12 students to check and access personal information that relates to their WACE. If any of your information, including your personal details or enrolments is incorrect, then you must let your school know so that they can update your information. When do I need to have checked my course enrolments? The last date for changes to enrolments for ATAR, General, Foundation, Preliminary and VET industry specific courses for Year 12 students is Thursday, 4 April 2019. This being the case, it is strongly recommended that you let your school know of any errors as soon as possible so that they may inform the Authority in time before the last date. After Thursday, 4 April 2019, the Authority’s data base will be locked and no further changes (except withdrawals) will be accepted in the above courses. Can I withdraw from courses after the last enrolment date? While, you are unable to enrol into a ‘new’ course after 4 April, 2019, you can still withdraw from courses by the dates below. Year 12 students are able to withdraw from ATAR courses (Units 3 and 4) with practical examination components until Friday, 26 July 2019. In the case of ATAR courses (Units 3 and 4) which do not have practical examination components, ATAR (Units 1 and 2), General, Foundation, Preliminary the last date for withdrawing is Thursday, 15 August 2019. Any changes to your current program of study must be discussed with your parents/guardian and school before a final decision is made to alter your program. Withdrawing from units may mean you don’t complete enough units this year and may not meet the requirements to achieve a WACE. The WACE requirements are set out in the Year 12 Information Handbook 2019, Part I: Information for all students. Am I on track to receive the WACE? Once you are satisfied that your enrolment with the Authority is correct, you should use the WACE Checker to see how you are progressing towards meeting the requirements of the WACE. What is the WACE Checker? 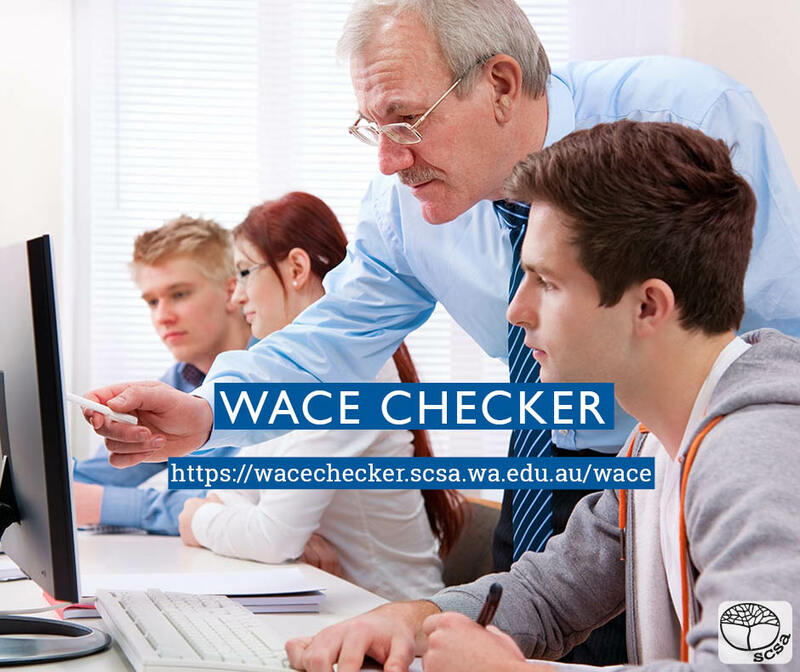 The WACE Checker is a tool which Year 12 students can use to check on their progress towards meeting the requirements of the WACE. It is designed to determine whether you have met (or are expected to meet) each of the requirements for the WACE. You can then choose to save and/or download and print the report. You can save the data entered into the checker for a month. When you select save you get an access code that will to allow you to use the ‘Fetch My Data’ button in the Checker. You can also save the summary of your input as a PDF and use this to track your progress and to check the impact of any changes to your enrolments. You will find the Checker, and more information on how to use it, on the Authority website at https://wacechecker.scsa.wa.edu.au/. The ‘Tell me more’ button provides support when using the Checker. If you have any concerns about your progress towards meeting the requirements of the WACE after entering your information, you should follow up with the support staff at your school. They will be able to help you clarify any issues around your enrolments and achievements. Please remember the decisions you make now may affect your future study plans so think carefully and weigh up your options. Monday, 17 December is ‘results day’ and we know students, along with their families and friends, are likely to have some questions. Here are some questions we are often asked around this time of the year and responses to these questions to help you plan your next steps. 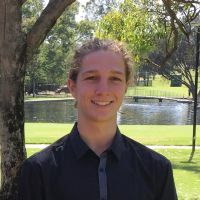 https://wace.wa.edu.au. You will need your WA Student Number and password to access the portal. Your password may be different from the one you use for the TISC website to access your ATAR. If you have made a university application through TISC, you will have set your own password. Where will I find my Student Number? Look for your student number on your school report, SmartRider or on your examination timetable. Note: due to privacy and security requirements, the Authority cannot provide student numbers over the phone or by email. What is included in the Year 12 results? *A course with a practical examination component will have the written and practical marks reported separately. Senior secondary achievements in previous years will also be listed. When will I receive my folio of achievement? 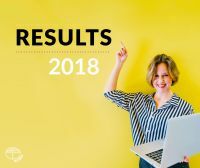 ATAR course report – for each ATAR course completed. Selected award certificates, which include the following: Certificates of Merit, Certificates of Distinction, Subject Certificates of Excellence, Special Subject Certificates of Excellence, Certificates of Excellence VET and Special Certificates of Excellence VET. From the beginning of February 2019, you will be able to download electronic versions of your WASSA, WACE and ATAR course reports via the portal. More details relating the WACE, WASSA and ATAR course reports can be found in The WACE 2018: Your Guide to the WASSA, WACE and ATAR Course Report is available on the Authority website at https://senior-secondary.scsa.wa.edu.au/certification/wace. How will I know if I’ve received an award or exhibition? Awards and exhibitions, including the Beazley medallists, will be announced on Friday, 21 December. A list of award winners will be published on the Authority’s website after the announcement (late morning, Friday, 21 December). Students who receive any of the following awards will receive their certificates at the Awards Ceremony on Wednesday, 13 February 2019: Beazley Medal: WACE, Beazley Medal: VET, General exhibitions, Special general awards, and Subject exhibitions. What will appear on my WASSA if I missed an ATAR examination? If you did not sit an ATAR course examination and did not have an approved sickness/misadventure application, you have not completed the course and it will not appear on your WASSA. Nor will you receive an ATAR course report for that course. For ATAR courses with practical components, students must have completed both the written and practical examination. How do Year 10 and Year 11 students find out their ATAR course examination results? Year 10 and Year 11 students who sat an ATAR course examination will be sent an ATAR course report from the Authority. These results are not available via the student portal. How do non-school candidates find out their ATAR course examination results? If I didn’t achieve a WACE, what can I do? Depending on the requirements that you did not meet, you have some options. You will be able to apply to re-sit the OLNA (Online Literacy and Numeracy Assessment) in March 2019. Details will be available on our website in early January. OLNA FAQs for 2018 Year 12 students are available at https://senior-secondary.scsa.wa.edu.au/assessment/olna/students-parents-carers. If you did not achieve a WACE because you did not complete a VET qualification in time, you can complete it in the future and then notify us so we can add the details to your student record and issue you with a WACE (providing all other WACE requirements have been met). Details will be available on our website in early January. If you did not meet the breadth and depth and/or achievement standard requirements, you need to consider your options for continuing enrolment at a school. When will the Universities Admission Advice Letters be available? The Tertiary Institutions Service Centre (TISC) is responsible for information about university admissions. All students with at least one scaled score can access their TISC Universities Admission Advice Letter (UAAL) via the TISC website from Monday, 17 December 2018.
eligibility status for each of the four public universities. Any questions relating to the UAAL, scaling or the calculation of the ATAR, contact TISC via info@tisc.edu.au or 9318 8000. If you have any further questions, have a look at Part I and Part II of the Year 12 Information Handbook at https://senior-secondary.scsa.wa.edu.au/further-resources/year-12-information. The Year 12 Information Handbook is published each year. This year’s handbook has been split into two parts following feedback, particularly from students. Not all students need information about the ATAR course examinations. Students requiring information about the ATAR course examinations wanted it a bit closer to exam season. Part I of the Year 12 Information Handbook 2018 provides an overview of general information relevant to all Year 12 students. Part II focuses on important information and dates relating to ATAR course examinations. Part I of the Year 12 Information Handbook 2018 was published in March and contains information significant to all Year 12 students, including the WACE requirements in place for the year, the difference between the WACE and the WASSA, where to find information and who to go to if you have questions. There is also information about how school-based assessment works. It is important that all Year 12 students are familiar with Part I of the handbook and are aware of the relevant dates and deadlines. Part II was published in July and is specifically for Year 12 ATAR students. It contains information about the ATAR course examinations. The focus on sitting examinations and examination rules and the processes followed if a breach of these rules occurs is clearly important. There is information about what happens after the examinations and when you will receive your results and folio of achievement. Part II also includes advice on how to handle the pressure of exams, what you can do to get the most out of your study time and tips to remember in the examination room. With the written ATAR course examinations starting next week, Year 12s are encouraged to read through Part II of the handbook if they have questions about the exams. There are contact points listed in the handbook if more information is required. Part I and Part II of the Year 12 Information Handbook 2018 are now available on the School Curriculum and Standards Authority website at: https://www.scsa.wa.edu.au/publications/year-12-information. In March this year, I wrote about students deciding whether to change courses. It is now time for students to decide whether they are going to withdraw from Year 12 courses. It might seem obvious but it is important to be aware of the difference between changing a course and withdrawing from a course. Changing means that you replace one course enrolment with another, but withdrawing means you are no longer studying a course. If you withdraw from a course, there will be no listing of your enrolment in the course for this year on your Western Australian Statement of Student Achievement (WASSA). This means you will not receive any credit for the work you have done for this year’s units prior to dropping the course. Year 12 courses are studied as a pair of units. You must complete the pair of Year 12 units to receive credit for the grade to contribute towards meeting the WACE requirements. The Authority needs to be notified of withdrawals to student enrolments in Year 12 ATAR courses with practical examination components by Friday, 27 July. The last date for the Authority to be notified of withdrawals to student enrolments in Year 12 ATAR courses with only written examination components and other Year 12 General, Foundation and Preliminary courses is Friday, 17 August. Note: Schools may have earlier deadlines in order to manage the administrative work that goes with changes to enrolments. The decision to change your enrolments should not be made lightly. You should discuss your options with your parents/guardians as well as your teachers, Year Coordinator or Careers Counsellor before you make a final decision. In particular, you should check (double check … triple check) that you will continue to be on track to meet the WACE requirements. The Authority’s WACE Checker can help you with your decision. You can use it to check on your progress towards meeting the WACE requirements. It is designed to show whether you have met (or are expected to meet) each of the requirements for the WACE. You will find the Checker, and more information on how to use it, on the Authority website at https://wacechecker.scsa.wa.edu.au. If you have printed or saved a PDF of the report from the WACE Checker, you can use that when you talk to your school. one pair of Year 12 units from each of List A (arts/languages/social sciences) and List B (mathematics/science/technology). To complete a Year 12 ATAR course means you are required to sit the ATAR course examination. For Year 12 ATAR courses with practical components, you must complete both the written and practical examinations. If you do not sit an ATAR course examination, and you do not have an approved sickness/misadventure application for that course, the grade for the pair of units (Units 3 and 4) will not contribute to the calculation of the WACE. You may be enrolled in ATAR course/s but may not need an ATAR for your future plans. Even so, you must sit the examination for that course for it to contribute to your WACE and for it to appear on your WASSA. completion of at least four Year 12 ATAR courses. receive an ATAR course report. 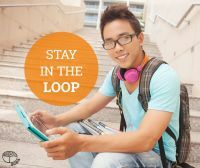 If you are enrolled in a Year 12 ATAR course, you need to know that withdrawing from a course is an important decision. Think carefully about what is right for you and work within the deadlines. Did you know that Thursday, 5 April is the last day to change your course enrolment if you’re in Year 12, or enrolled in a Year 12 course? Now is the time to make some decisions. Year 12 student can check their enrolments and personal details online at https://www.wace.wa.edu.au. To log on, you will need your WA student number and other personal identification information. The Authority strongly encourages you to check that your enrolments in course units are listed. This is especially important where students are studying at more than one school (e.g. also studying via SIDE). Students must report inaccurate information to the school for updating. Changing your enrolment can impact how you meet the requirements of the Western Australian Certificate of Education (WACE). It might also impact on your options for further study and the Australian Tertiary Admission Rank (ATAR) you achieve. 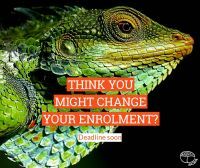 meet the deadline to change your enrolment – and be aware that schools may have earlier deadlines than Thursday, 5 April in order to manage the administrative work that goes with changes to enrolments. You will not be able to pick up new courses after Thursday, 5 April until a new school year begins. This means, if you don’t have enough units from the courses you complete this year to meet the WACE requirements, you will need to continue your studies next year. Withdrawing from courses means there will be no listing of your enrolment in these courses for this year on your Western Australian Statement of Student Achievement (WASSA). After Thursday, 5 April, you will only be able to withdraw from your courses. Friday, 17 August for all other Year 12 courses – including Year 12 ATAR courses without a practical examination component, General, Foundation and Preliminary courses. If you remain enrolled in a course after these dates for withdrawal, you are expected to complete the assessment requirements of the course. 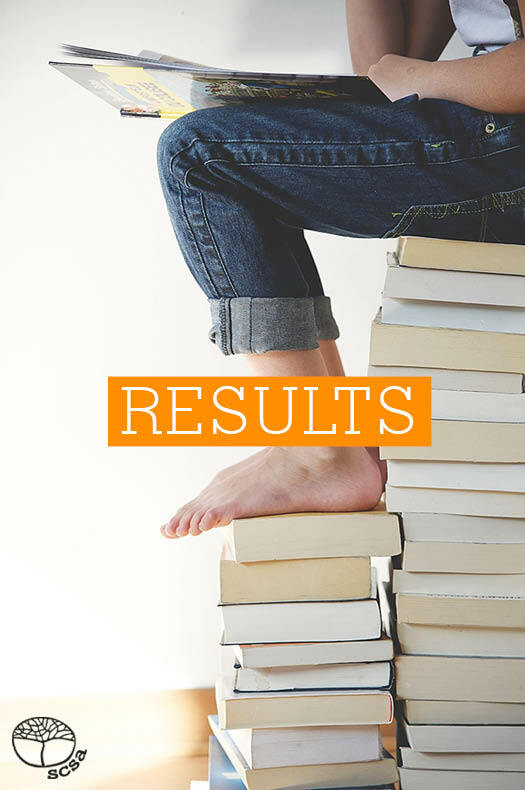 The results you achieve for ATAR (see section about ATAR courses below), General, Foundation and Preliminary courses will be listed on your WASSA. Withdrawing from units may mean you don’t complete enough units this year and may not meet the requirements to achieve a WACE. The WACE requirements are set out in the Year 12 Information Handbook 2018, available on the Authority website at https://scsa.wa.edu.au/publications/year-12-information. 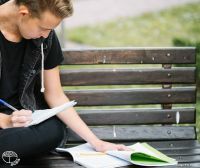 If you are enrolled in an ATAR Year 12 course, and you do not withdraw from that course, you are required to sit the ATAR examination in that course. If you do not sit an ATAR course examination and do not have an approved sickness/misadventure application for that course, then the grades for the pair of units completed in that year will not contribute to the calculation of the WACE. The Authority’s WACE Checker can help you with your decision. The WACE Checker is a tool you can use to check your progress towards meeting the requirements of the WACE. It is designed to show whether you have met (or are expected to meet) each of the requirements for the WACE. You will find the Checker, and more information on how to use it, on the Authority website at https://wacechecker.scsa.wa.edu.au. Please remember the decisions you make now may affect your future study plans. Think carefully. Tuesday 19 December is ‘results day’ and we know students, along with their families and friends, are likely to have some questions. Here are some answers to questions we are often asked around this time of the year. You can access your school and examination results via the student portal at https://www.wace.wa.edu.au. You will need your WA Student Number and password to access the portal. Look for your student number on your school report, SmartRider or an examination timetable. More details relating the WACE, WASSA and ATAR course report can be found in The WACE 2017: Your Guide to the WASSA, WACE and ATAR Course Report is available on the Authority website at https://senior-secondary.scsa.wa.edu.au/certification/wace. Awards and exhibitions, including the Beazley medallists, will be announced on Friday 22 December. The student portal will be updated to include any awards or exhibitions after the formal announcement. Students who receive any of the following awards will receive their certificates at the Awards Ceremony on Tuesday 13 February 2018: Beazley Medal: WACE, Beazley Medal: VET, General exhibitions, Special general awards, and Subject exhibitions. Non-school candidates will receive a letter from the Authority informing them of their examination marks. Examination results are not printed on the WASSA when a student was enrolled as a non-school candidate. If I didn’t achieve the WACE, what can I do? Depending on the requirements you did not meet, you have some options. If you did not achieve your WACE because you did not complete a VET qualification in time, you can complete it in the future and then notify us so we can add the details to your student record and issue you with a WACE (providing all other WACE requirements have been met). Details will be available on our website in early January. The Tertiary Institutions Service Centre (TISC) is responsible for information about university admissions. All students with at least one scaled score can access their TISC Universities Admission Advice Letter (UAAL) via the TISC website at www.tisc.edu.au from Tuesday 19 December 2017. If you have any further questions, have a look at the Year 12 Information Handbook at https://senior-secondary.scsa.wa.edu.au/further-resources/year-12-information. With the ATAR course written exams about to begin, I’d like to wish all candidates, their families and everyone involved in the delivery of the exams the best for the examination period. With the ATAR course written exams about to begin, I’d like to wish all candidates, their families and everyone involved in the delivery of the exams the best for the examination period. 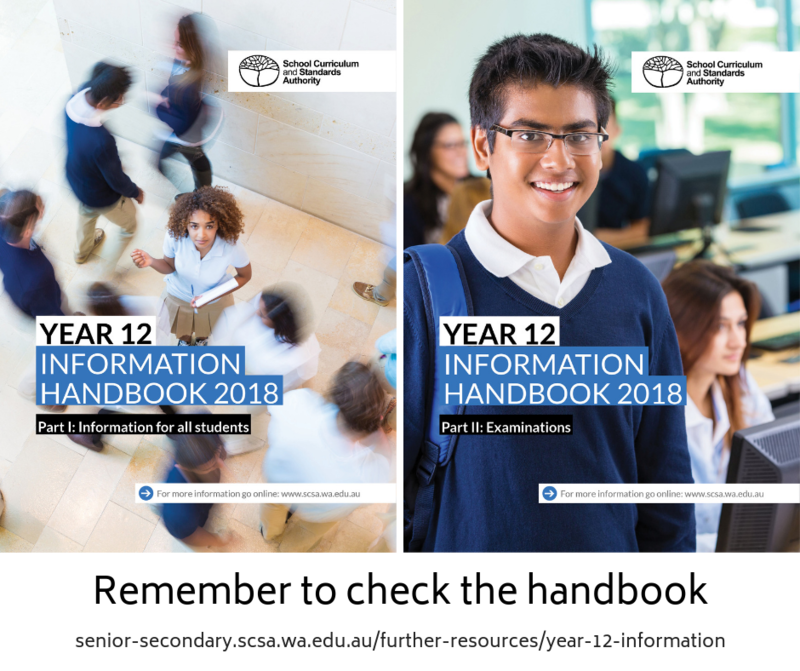 The Year 12 Information Handbook at https://senior-secondary.scsa.wa.edu.au/further-resources/year-12-information has a section dedicated to the exams with detailed information but I would like to emphasise some points which come up every year. Candidates need to take a signed copy of their personalised examination timetable to each examination. Copies of personalised timetables are available from schools or via the student portal at https://www.wace.wa.edu.au. Note: you will need your WA Student Number and password to access the portal. Your password is different from the one you use for the TISC website. Candidates are responsible for providing their own stationery and any other items specified or recommended for particular courses as listed on the Examination front covers as ‘To be provided by the candidate.’ Items should be contained in a pencil case made of clear materials. Copies of the Examination front covers can be downloaded from https://senior-secondary.scsa.wa.edu.au/assessment/examinations/2017-examination-front-covers. It can be hot during the exam period and it is important to stay hydrated. Candidates can bring water to the examination in a clear plastic bottle with all labels removed. The water bottle should have a secure lid and have a capacity of no more than 1500ml. Water bottles may not be refilled during the examination. Clothing worn to the exams should be acceptable to the school or centre at which the examination is being held. Caps or hats cannot be worn in the examination room and need to left with your possessions before entering the examination room. If a hood is attached to clothing, the hood must not be placed on your head. Veils or headwear, worn for cultural, medical or religious reasons as part of your usual attire when attending school, can be worn during an examination. The Authority does not require candidates to wear school uniforms to the exams. Candidates may take up to two (2) A4 sheets of notes into Mathematics examinations, to be used in the calculator-assumed section only. The notes can be handwritten, typed, photocopied or commercially produced. They must be flat, contain no folds and not be pages joined by glue or tape. They may be written on both sides, but must not have other notes attached to them (including sticky notes). The notes can be laminated. Multiple-choice sections are scanned for marking and, therefore, need to be answered in blue or black pen. In the other sections of the examination, it is preferred that blue or black pen is used. 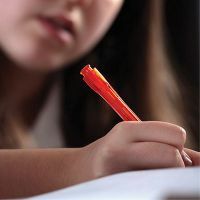 Candidates are strongly advised not to use erasable pens as they can be affected by heat, which can impact on the clarity of the script for marking. 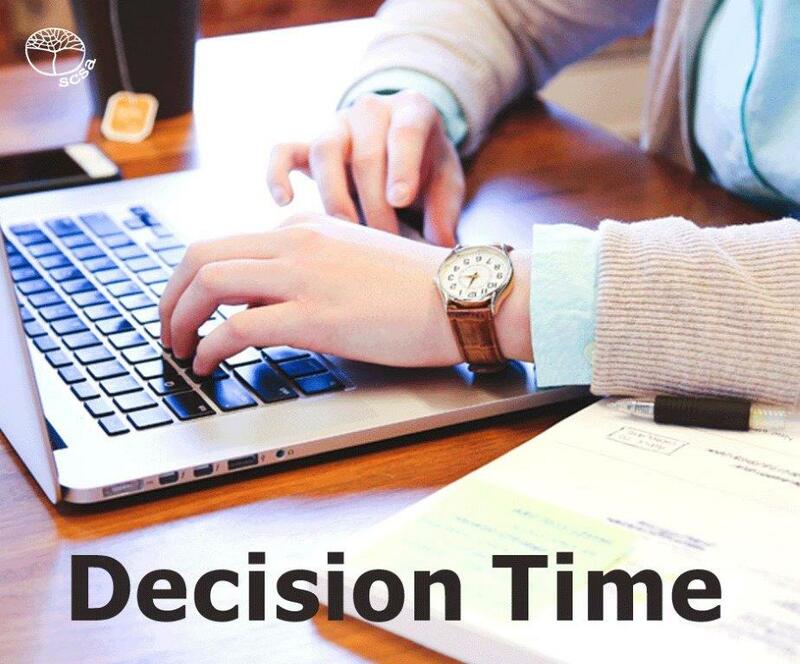 Candidates should arrive at least 30 minutes before the prescribed start time for an examination: 8.50 am for an exam that starts at 9.20 am, and 1.30 pm for an exam that starts at 2.00 pm. No one will be admitted after 30 minutes have passed from the start of the working time of the examination. Candidates entering the room late should cause as little disruption as possible. Candidates will not be allowed to leave the examination during the first hour of the working period or during the final 15 minutes of the examination. Once the examination has finished, candidates cannot leave until all papers have been collected and the supervisors indicate everyone can leave. Candidates who suffer from a temporary sickness, non-permanent disability or an unforeseen event close to or during the examinations which they believe may have resulted in performance below expectations or non-attendance in particular examinations can apply for sickness/misadventure consideration. Applications for sickness/misadventure must be received by Wednesday, 22 November 2017. Candidates seeking sickness/misadventure consideration should note the need for medical evidence for the day of (or before) the exam and that part of the form needs to be completed by a medical practitioner. If you are enrolled in a Year 12 ATAR course, you are required to sit the ATAR course examination in that course. If you do not sit the examination, and do not have an approved sickness/misadventure application, you will not have completed the course. This means the course will not appear on your WASSA (Western Australian Statement of Student Achievement) and will not count towards any of the requirements to receive a WACE (Western Australian Certificate of Education). We have also been posting some reminders about life balance, the exam rules and general exam tips on our student Facebook page at https://www.facebook.com/scsawa/. These posts will continue until the end of exams. It's coming up to the pointy end of the school year: tests at school, assignments and those exams! To help make it a little easier, here are a few ideas to help you. Keep the balance. Eat regularly with lots of vegetables and protein, and even … carbs! Fruit is good, too. Keeping everything in proportion not only helps the brain, but also keeps your body healthy so you can cope better. Don't forget the water, around 2 litres a day, especially when the weather starts to warm up. It may be tempting to drink more caffeinated and energy drinks so you can stay awake longer to study. However, the sugars that most of these contain have the opposite effect. These will only make you feel more physically and mentally fatigued and impact on your ability to concentrate. Energise your body and your mind with some physical activity. Exercise is one of the most effective ways to improve memory and attention. Make the time to get outdoors, away from all screens and social media; enjoy the fresh air and sunshine. 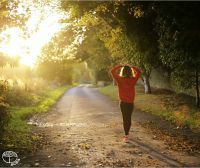 Vitamin D and oxygen do amazing things for your mind and body. Stay involved with regular sporting activities, groups you belong to and make exercise a part of your day. Not everything has to stop because of your exams and tests. Put things in perspective. Activity from a simple walk or an energetic game of basketball helps clear your mind, relax and refocus. 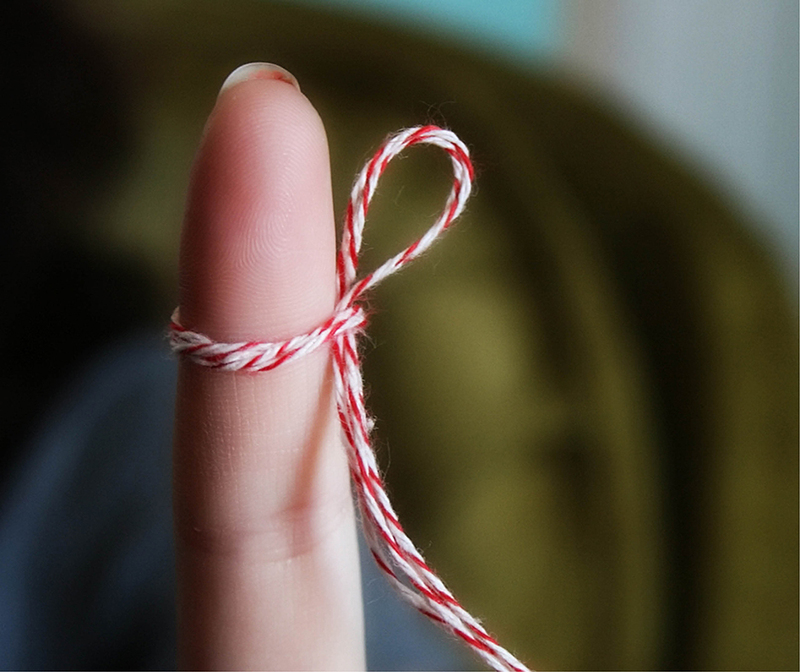 Giving your brain a break helps it work better when you are studying and completing assignments and assessments! You need sleep. Who would have thought that doing nothing does so much? Sleep is time to recharge and recover both mentally and physically. No devices, no books and pencils, just your pillow. Aim to be as fresh as possible. 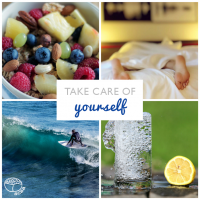 A sleep routine is important for your mental and physical wellbeing. Know about the structure of each of your exams and assessments. Prepare a clear bag of your favourite pens, pencils and any materials that you are permitted to have in the exam, and have this ready to go. That's one thing less that you need to worry about as you walk out the door to head to your exam. We have all heard about people who get to an exam or are faced with an important assessment and freeze. If you tend to find that you get stressed, here are some strategies that might help. Breathe – focus on your breath, and slow down, be quiet and mindful. Stretch – imagine yourself releasing any tension in your body. Support – speak with a parent or teacher, if you are finding it hard to cope. And finally, don’t think that the exams and your Year 12 results are everything. 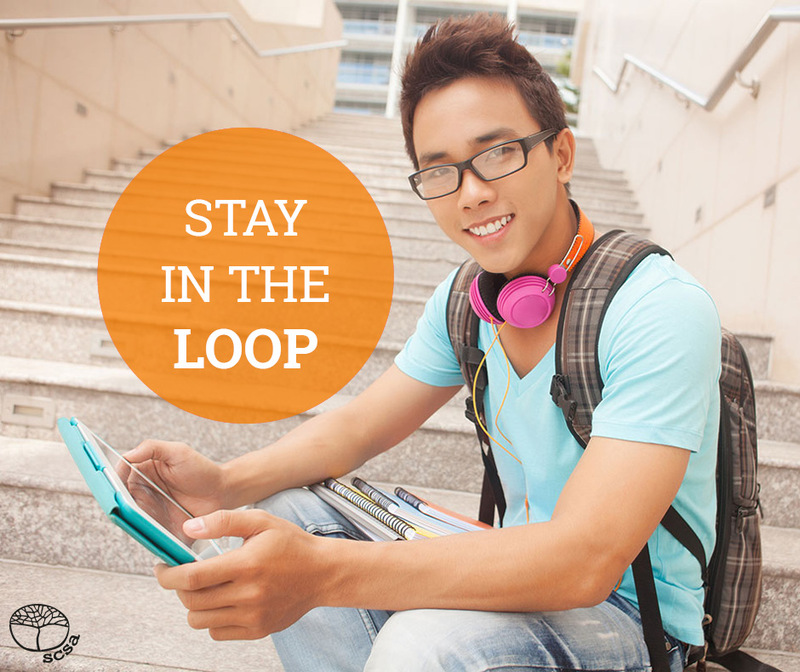 There are many opportunities and pathways open to you after you leave school. 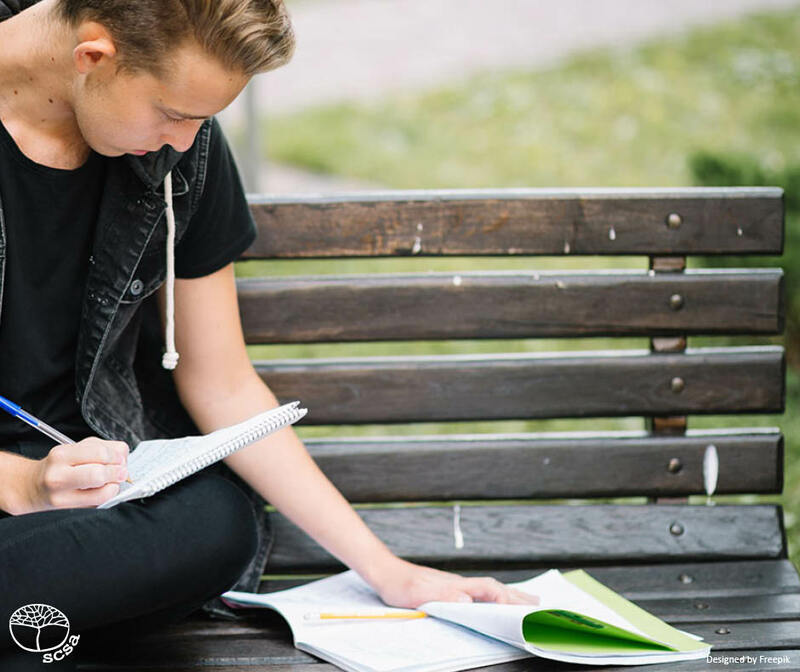 If you’re in Year 12 and taking ATAR course exams, your preparation can help you get through the exam season with a clear focus. The examination front covers help you prepare for the examinations. They contain details of the structure of each examination, the allocation of marks, and the rules governing the conduct of the examination. You can have an idea of what to expect. Check the front covers of the examinations for the list of Standard and Special items you can take into the exam. You will find the front covers at https://senior-secondary.scsa.wa.edu.au/assessment/examinations/2017-examination-front-covers. When you pack your materials for the ATAR course exams, remember to include your signed Personalised examination timetable and identification (e.g. a library card). It will be one less thing to remember. Also, you can water into the exam room, if it is in a clear bottle with no markings. Remember to check your pockets before entering the examination room, and leave your mobile phone outside the room. You can find more information in this year’s Year 12 Information Handbook 2017 about ‘Preparing for examinations’ (pages 58–59) and in the ‘Be balanced’ section (pages 60–61). This information is useful for all students. The 2017 ATAR course exams are just around the corner, starting with the practical examinations. Practical examinations can take a number of forms and for our ATAR courses they can be a performance, an interview, portfolio or production. 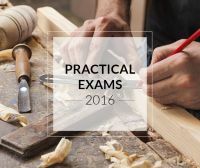 If you have a practical examination coming up, your preparation should be well under way. Here are some reminders and points to consider. The date and time for your practical examination cannot be changed. The time for your practical performance or interview is given on your Personalised practical examination timetable. You must attend the examination for the time given. You will not be admitted to the examination, if you arrive after your scheduled examination time. You must take your signed Personalised practical examination timetable and identification, e.g. a library card with you to each practical examination. If you need a new copy of your timetable, you can download a copy from the student portal at https://www.wace.wa.edu.au. Your teachers would have advised you when your portfolio and/or production submission are due. Teachers must ensure all of the school’s submissions are delivered to School Curriculum and Standards by Wednesday, 20 September. The Year 12 Information Handbook 2017 provides an overview of the requirements of the practical examination for each course. You will find the handbook at https://senior-secondary.scsa.wa.edu.au/further-resources/year-12-information. Each course with a practical examination component has a set of practical examination requirements. These are available under the Examination Materials accordion on the relevant course pages on our website at https://senior-secondary.scsa.wa.edu.au/syllabus-and-support-materials. It is essential that you read the information given for specific courses and follow those instructions. In 2016, there were 75 breaches of examination rules which resulted in loss of examination marks. Most of these breaches could have been avoided had students read and followed instructions. Make sure you know the requirements for your practical examination. Ensure that you complete all forms accurately and completely. Check that you have included all the components required for the submission. Also take care to follow any safety requirements. Check that your name and school are not included on the materials you are submitting. Follow the rules about mobile technologies, and communication with other candidates. When you finish your performance or interview, leave the examination area. It is a requirement that you do not share information with other candidates about the exam. This includes on social media. You must not wear or carry anything that can identify you, your school or your achievements. By now you are aware that you must complete the examination in order to complete the course. For courses with a practical component, this includes the practical as well as the written examination. If you do not complete the practical, you will not have completed the course and it will not count towards your completion of the WACE requirements, nor will it appear on your WASSA. If you are unwell or experience a misadventure close to, or during the examinations, you may make a sickness or misadventure application. Sickness/misadventure applications are assessed by a panel that includes a medical practitioner. Should you need to apply for consideration because of sickness/misadventure, check the information available in the Year 12 Information Handbook 2017 and on the Authority website carefully. Page 5 of the Year 12 Information Handbook 2017 lists some places to find more detailed information. There is an email address for examination queries – exams@scsa.wa.edu.au and a Facebook page for students at https://facebook.com/SCSAWA. We wish you all the best with your practicals. 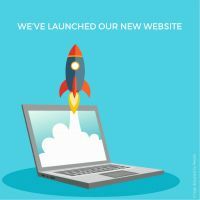 We are now in the position to announce that assessment activities and assessment support materials are available and ready for you to explore on the open section of the website. The Judging standards materials which include the Reading Aloud samples are secured in the Extranet* (top right corner of the Authority Home website. You can log in by registering with your TRBWA number. *The Extranet is a secure area for teachers to access materials and resources. implementation of the principles of teaching and learning as articulated in the ‘Ways of teaching’ in the Overview of the syllabus. Early Childhood (P–2) Reading Aloud samples show students completing reading assessments. The videos highlight the importance of assessment beyond students’ ability to decode text by addressing aspects of the achievement standard in relation to students’ ability to interpret and respond to a range of texts and text types. They reflect age-appropriate learning and curriculum content relevant to the specific year level. The samples have been developed with classroom teachers from a range of schools in Western Australia. Grades should be allocated based on a suite of work. The samples are carefully annotated to exemplify the observable qualities that areindicative of the allocated grade. 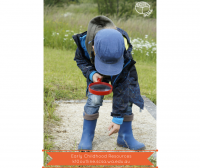 A five week sample program focusing on an inquiry question to investigate a ‘big idea’ allows children and educators to pursue knowledge and increase understanding across the learning and development areas. This dynamic and play-based program allows children to transfer concepts and develop a deeper understanding in a range of perspectives with the educator not only leading learning but researching alongside the children. At the end of the document you will locate a Play Opportunity Web (POW) that incorporates a range of different ideas to suit different learning styles. Keep informed by signing up for the Authority’s Kto10Circular at www.scsa.wa.edu.au/. Tick the circular you require (you might like to receive the 11to12 Circular as well), add your email address and send. You will automatically receive updates. Are you in Year 12 and wondering how you are progressing towards meeting the requirements of the Western Australian Certificate of Education (WACE)? The School Curriculum and Standards Authority is pleased to announce that it has developed a WACE Checker for Year 12 students. 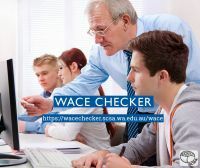 The WACE Checker is a tool which Year 12s can use to check their progress towards meeting the requirements of the WACE. It is designed to determine whether you have met (or are expected to meet) each of the requirements for the WACE. The WACE Checker is easy to use and is now available on the Authority website at: https://wacechecker.scsa.wa.edu.au. The WACE Checker calculates on the basis of the information entered into the system. By its nature, some of the information is assumed – you’re putting in what you expect to achieve in Year 12, and perhaps looking to see what the impact on meeting the requirements will be if you do not complete a course. Once you have added the information about your enrolments and achievement, the WACE Checker calculates your progress. As a tool, the checker will be of most assistance if the information provided for Year 12 is realistic. When you add your anticipated grades for Year 12, you need to add what you realistically expect to achieve this year. The WACE Checker generates a report that shows the information you have entered and the requirements that you have met. If you are missing a requirement, the WACE Checker shows what it is. You can then choose to save and/or download and print the report. You can use a save function which will keep the data entered into the checker for a month. An access code is provided to allow you to use the ‘Fetch My Data’ button when you select that option in the checker. The WACE Checker allows you to save the summary of your input as a PDF. You can use this PDF to track your progress and to check the impact of any changes to your enrolments or achievements. The ‘Tell me more’ button provides support when using the Checker. The WACE Checker is provided as a guide only. The report it generates must not be interpreted as a guarantee that you will achieve a WACE. You need to remember that achievement of the WACE is dependent on the calculation of a student’s final results and completion of courses. You are encouraged to consult the Year 12 Information Handbook for the relevant year, or your school, if you wish to confirm WACE eligibility based on your enrolment and predicted/actual achievement. If you have printed or saved a PDF of the report from the WACE Checker, you can use that when you talk to your school. If you have any concerns about your progress towards meeting the requirements of the WACE after entering your information, you should follow up with the support staff at your school. They will be able to help you clarify any issues around your enrolments and achievements. Completing a VET qualification as part of your WACE (Western Australian Certificate of Education) is a great beginning to life after school. As well as preparing you for the world of work, your VET qualification may make you eligible for this year’s VET Awards. You might be thinking about applying for this year’s VET Awards. If so, here are some things to consider. Applying for the VET awards can be a great way to hone your interview and presentation skills and, if successful, you will be awarded with a Certificate of Excellence. The top student from an industry area may also be awarded a VET exhibition. Students awarded with a VET Exhibition are shortlisted for the Beazley Medal: VET. Applying for the VET awards is also an excellent opportunity to develop your job application skills, even if you aren’t shortlisted for an interview. Enhancing your job application skills is something you will need to continually improve upon throughout your career so why not get a head start now? have satisfied the requirements for a WACE at the time of the determination of the award. at least two unit equivalents of the Authority-Developed Workplace Learning (ADWPL) Endorsed Program equivalent to 110 hours or more. (Make sure that the workplace is related to the industry area you submit your nomination in). *If you have made reasonable progress towards the completion of a Certificate III or higher you are also eligible for nomination. To be eligible for the Beazley Medal: VET, you must meet the general criteria and also have achieved a VET exhibition in one of the nine industry areas. Nominations received from eligible students are considered by a panel that prepares a shortlist of nominees. Shortlisted students are invited to an interview. The interview gives you an opportunity to showcase your skills, knowledge and experience in your chosen industry area. It also gives you an opportunity to reflect on your presentation skills for future interviews. Check out last year’s blog post for additional information on the nomination process and interview panel. 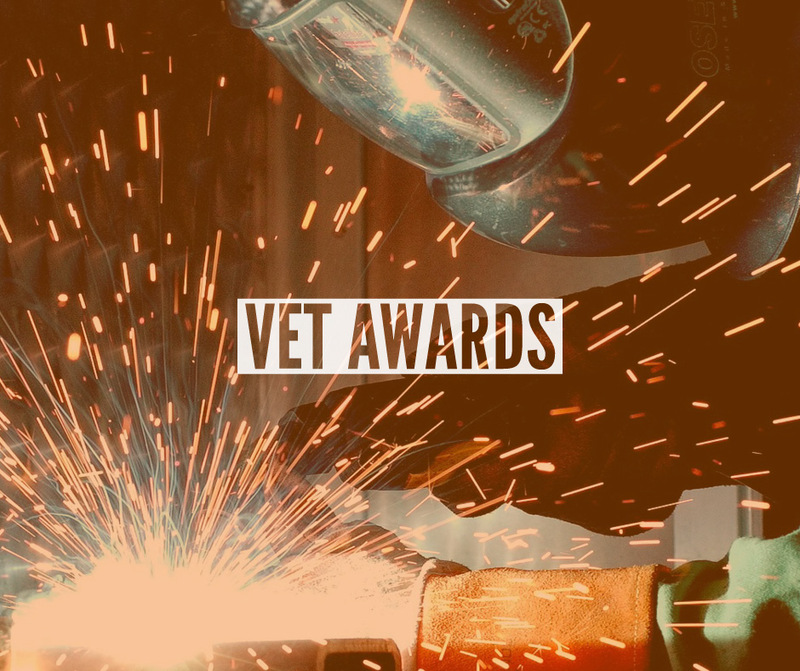 Download the VET awards brochure and Nomination Kit for full details. Remember, nominations for the 2017 VET awards close at 4.30 pm on Monday, 4 September. If you’re interested in submitting a nomination, leave plenty of time to complete the nomination process. If you have questions you should talk with the VET coordinator at your school. In March I wrote about students needing to decide whether to change courses. Now, it is time for students to decide whether they are going to withdraw from Year 12 courses. Changing means that you replace one enrolment with another. Withdrawing means you drop an enrolment. Withdrawing from a course means there will be no listing of your enrolment in the course for this year on your Western Australian Statement of Student Achievement (WASSA). This means you will not receive any credit for the work you have done for this year’s units prior to dropping the course. Year 12 courses are dealt with in terms of pairs of units. Even if you have ‘completed’ Unit 3, it will not count towards your Western Australian Certificate of Education (WACE), and it will not appear on your WASSA. The Authority needs to be notified of withdrawals to student enrolments in Year 12 ATAR courses with practical examination components by Friday, 28 July. The last date for the Authority to be notified of withdrawals to student enrolments in Year 12 ATAR courses with only written examination components and other Year 12 General, Foundation and Preliminary courses is Friday, 25 August. 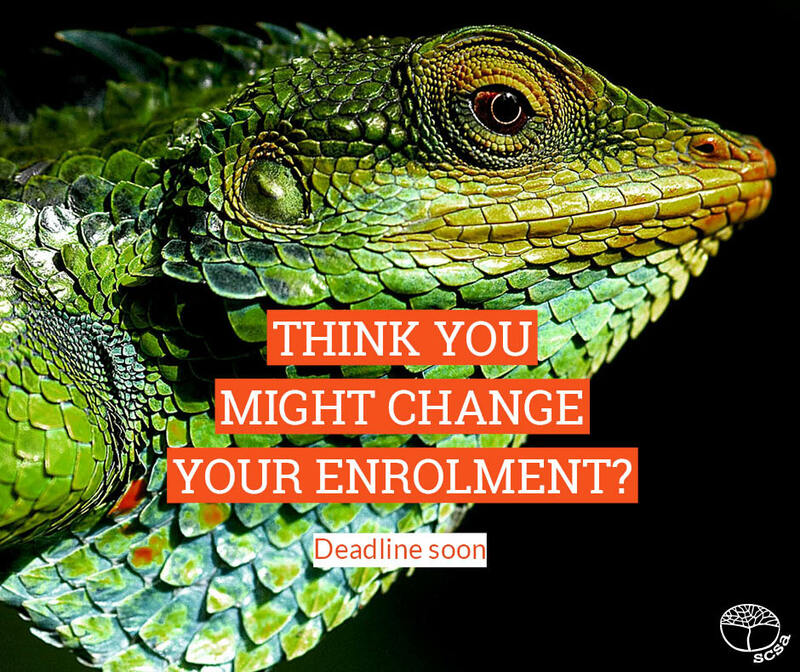 Changing your enrolments is a big decision and it should not be made lightly. You should discuss your options with your parents/guardians as well as your teachers, Year Coordinator or Careers Counsellor before you make a final decision. In particular, you should check (double check … triple check) that you will continue to be on track to meet the WACE requirements. If you are in Year 12, or someone enrolled in a Year 12 ATAR course, you need to know that withdrawing from a course is an important decision. Think carefully about what is right for you and work within the deadlines. The student portal – https://www.wace.wa.edu.au – is now open for all Year 12 students, and anyone enrolled in ATAR course examinations, to complete the online student declaration and permissions. These are expected to be completed by Thursday, 22 June 2017. Why are the declaration and permissions important? The student declaration is an acknowledgement that you know and understand some important information. It is important that all Year 12 students are aware of the requirements to achieve the Western Australian Certificate of Education (WACE). If you are sitting ATAR course examinations you also need to know what the rules and expectations are for those. Knowing yourself what is required to achieve the end result empowers you. Making sure you are informed is a way to avoid disappointment and the potential for stress and confusion. For this reason, it is good to know right from the beginning what you are working for and what you need to achieve it. You will find the requirements in the Year 12 Information Handbook. This is available on the Authority website at http://www.scsa.wa.edu.au/publications/year-12-information. The answers to most questions you will ask about the WACE come from this handbook. Signing the student declaration shows that you have read the handbook and you know what is required of you as a Year 12, or someone not in Year 12 but who will be a candidate for an ATAR course examination. Did you know that we publish a list of award winners at the end of the year? If you don’t give us permission to release your name, we put ‘Not for Publication’ next to the name of your school. Use examination responses (written and practical). You have had the benefit of teachers being able to look at work and materials from previous students, now this is your chance to make a contribution to education. All students benefit from the professional discussions teachers have and the resources they can draw on. This has deepened their understanding of the courses and has also promoted an awareness of common standards across schools within the state. We recommend you discuss this information with your parents/guardians before you complete your responses. All the information is available on the Authority website at http://senior-secondary.scsa.wa.edu.au/the-wace/student-declaration. Thank you for taking the time in completing this valuable information. We have made some changes to student eligibility for enrolment in Foundation courses. We made these changes as a result of our consultations with teachers where we were advised that the eligibility rules around enrolments in the List B Foundation courses needed reviewing. There are three List B Foundation courses: Foundation Mathematics, Foundation Health, Physical and Outdoor Education and Foundation Applied Information Technology. From Semester 2, 2017, students who have not demonstrated the minimum literacy standard are permitted to enrol in both the List A and List B Foundation courses. This is a change from the rule where students who have not met the literacy standard have been eligible to enrol only in Foundation List A courses. The change reflects the emphasis that List B Foundation courses place on both literacy and numeracy. In the List B Foundation courses there are clear connections to course content that support the development of students’ literacy skills. The change accommodates students who have demonstrated the OLNA numeracy standard but not the literacy standard. These students need to continue to develop the literacy skills that are needed to support their ongoing development of numeracy skills integral to Foundation List B course content and structure. The change means that Year 11 students who have demonstrated the numeracy standard but not the literacy standard can enrol in List B Foundation courses in Semester 2, 2017. Alternatively, students may choose to enrol in General or ATAR List B courses. If students choose this option, they should be aware that the literacy demands of the courses may present significant challenges for their skills. 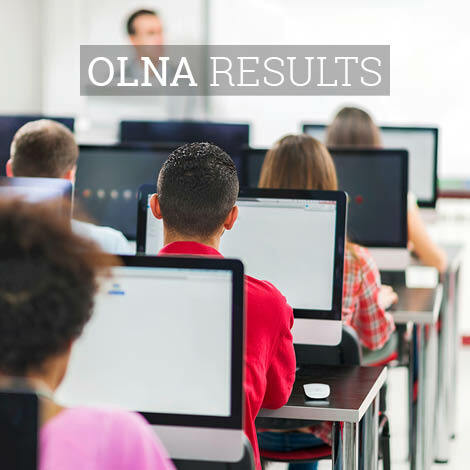 Schools will receive the results from the March 2017 OLNA in May. When they receive the OLNA results, schools should identify those students whose eligibility to enrol in Foundation courses has changed. Any changes to a student’s eligibility and their options for Semester 2 enrolments should be discussed with the student and their parents/guardians. Schools have until Friday, 2 June 2017 to update student enrolments in Foundation courses to reflect changes in student eligibility. The Authority will review student enrolments in Foundation courses against the OLNA results. After this date, the Authority will withdraw students’ enrolments in Foundation courses where they are not eligible to be enrolled. Year 11 students who have questions about changes to their courses for Semester 2 and into Year 12 should speak with their teachers and staff at their school. School administrators with questions about the process for changing student enrolments should email the Data Services team at dataservices@scsa.wa.edu.au. If you’re in Years 10, 11 or 12, there is information on our website that you need to know about. The Year 12 Information Handbook is published each year for students in Year 12. It contains information about the WACE requirements in place for the year, the difference between the WACE and the WASSA, where to find information and who to go to if you have questions. There is information about how school-based assessment works and an extensive section about ATAR courses. This last section concentrates on examinations and includes information about rules, how the practical and written exams work and what happens after the exams. While the information in the handbook is targeted at Year 12s this is information that students in Year 11 should be starting to become familiar with. There bits of advice about study and keeping a balanced approach to your studies that are worth getting to grips with sooner rather than later. Also, if you are a Year 11 enrolled in a Year 12 ATAR course you need to know the information about the ATAR course exams. There is also a slideshow on our website that accompanies the Year 10 Information Handbook. We make this available to schools to use with parents and students at Year 10 information evenings and for subject selection counselling. You might find it useful to refer to if you have any questions. We know that not everyone uses social media – and that when you’re studying it is ESSENTIAL not to become distracted by sites like Facebook and Twitter. Social media can, however, be a useful way to communicate and should not be a problem when used responsibly. For this reason, the Authority has two Facebook pages and a Twitter account. These provide options for contacting us. https://facebook.com/SCSAWA: is the page we recommend as most relevant to students in Years 10, 11 and 12, their parents, teachers and community stakeholders. The focus of the page is on providing information to students working towards the WACE and a WASSA. You can message us directly through this page and we will get back to you as quickly as we can. On the subject of response times, our office hours are 8.00 am to 4.30 pm from Monday to Friday, excluding public holidays. We formally monitor our social media accounts during these hours. Please be aware that a response to a question or comment may take some time to be provided due to checking processes and other commitments. Responding out-of-hours is on a case-by-case basis and is dependent on staff availability. We also have https://facebook.com/SCSAWAteachers, which is mostly for teachers but community stakeholders may find it interesting, and https://twitter.com/scsawa, which provides general information to the Authority’s stakeholders. You can have ask your teacher or your school careers counsellor about any enrolment questions you might have. Alternatively, you can contact the Authority on 9273 6344 or email enrolments@scsa.wa.edu.au. If you have questions about examinations (timetables, processes, etc. ), you can email exams@scsa.wa.edu.au. General enquiries can be directed to info@scsa.wa.edu.au. Obviously, the questions you might ask would be about timetables and processes. You wouldn’t be wanting to know about what’s in the exams. No one can give out that information. We also can’t provide subject specific advice. Your teacher is the best person to contact about the work you are doing at school. If there is anything you don’t understand about the WACE requirements or you have questions from reading the handbooks or attending an information session, ask. There is quite a bit to come to terms with when you are working towards your WACE and it is worth staying in touch with your teachers and school staff as well. Avoid stress and confusion by seeking clarification when you need it. The time is fast approaching for Year 12 students to decide whether or not to change course enrolment. Changing your enrolments is a big decision and it should not be made lightly. You should discuss your options with your parents/guardians as well as your teachers, Year Coordinator or Careers Counsellor before you make a final decision. Schools may have earlier deadlines in order to manage the administrative work that goes with changes to enrolments, but the last date for the Authority to be notified of changes to Year 12 enrolments is Wednesday, 5 April. After then, you will only be able to withdraw from your courses. Friday, 25 August for all other Year 12 courses – including Year 12 ATAR courses without a practical examination component, General, Foundation and Preliminary courses. If you remain enrolled in a course after these dates for withdrawal, you are expected to complete the assessment requirements of the course. 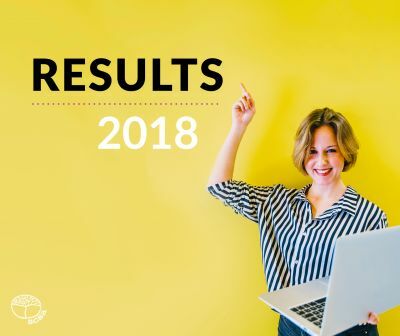 The results you achieve for ATAR (see note about ATAR courses below), General, Foundation and Preliminary courses will be listed on your WASSA. You will not be able to pick up new courses until a new school year begins. This means, if you don’t have enough units from the courses you complete this year, you will need to continue your studies next year. If you do not sit an ATAR course examination and do not have an approved sickness/misadventure application for that course, then the grades for the pair of units completed in that year will not contribute to the calculation of the Western Australian Certificate of Education (WACE). Withdrawing from units may mean you don’t complete enough units this year and may not meet the requirements to achieve a WACE. If you do not sit an ATAR course examination, you will not have a course mark or grade recorded on your WASSA, and you will not receive an ATAR course report for that course. This means there will be no record at the Authority of you having studied this course. You are able to find details relating to the WACE requirements in the Year 12 Information Handbook 2017, available on the Authority website at http://www.scsa.wa.edu.au/publications/year-12-information. The Authority’s vision statement is ‘to provide quality curriculum, assessment and reporting of standards of achievement of all students studying the Western Australian curriculum, so that they become confident, creative learners and active, informed citizens who contribute positively to society.’ In 2017 we will be continuing to work with schools and teachers to act on and realise this vision. Earlier this week the Chair of the Board and I wrote to school principals about the areas the Authority will be focusing on this year for Pre-primary to Year 12 curriculum, assessment and reporting. Our core focus is on supporting schools in their implementation of the Western Australian Curriculum and Assessment Outline (the Outline – Pre-primary to Year 10) and the Western Australian Certificate of Education (WACE – Year 11 and 12). Schools and their teachers have done a fantastic job implementing the Outline –Pre-primary to Year 10. We thank you all for your efforts so far and look forward to building on the progress made in recent years. The P–10 curriculum for English, Mathematics and Science has already been implemented and these learning areas will be joined in 2017 by Humanities and Social Sciences (HASS) and Health and Physical Education (HPE). The curriculum for HASS and HPE will be implemented with reporting to parents on student achievement by the end of Semester 1 this year. The remaining learning areas of Technologies, The Arts and Languages are expected to be in place in 2018, with reporting to parents on student achievement by the end of Semester 1 next year in Technologies and the Arts and in Year 3 Languages. The Authority is continuing to work with schools and teachers to develop a range of materials that support the delivery of the curriculum and teacher judgements. Can I particularly thank all teachers for the phenomenal effort that has been put into all of the WACE reforms. Developing new programs for ATAR, General, Foundation and Preliminary courses, implementing the Online Literacy and Numeracy Assessment (OLNA) and managing the Externally Set Tasks (ESTs) were all responsibilities that teachers and schools have embraced. At the end of 2016, 21 473 students received a WACE and 25 338 students received the Western Australian Statement of Student Achievement (WASSA). 2017 will be a year of consolidation with a focus on gaining insights into the standards particularly in the General and Foundation courses. Plans are underway to explore ways of working with teachers delivering Preliminary courses to build a common understanding of Unit Completion. In addition to our work with teachers and schools, we will soon be launching a website for parents. The website will support parents and carers of students from Kindergarten through to Year 12 with information about curriculum, assessment and reporting. There are a number of ATAR courses that have a practical component as part of the examination. This practical might be a performance, oral, portfolio or production. The portfolios and productions were due in on Wednesday 21 September, the performance and oral components begin on Saturday 24 September. Visual Arts production examination submissions. Students enrolled in French, German and Italian Background Languages have sent through their personal investigation interview sheets. Marking of the portfolio and production submissions is underway and will be completed by 12 October. The performance and oral examinations begin with Music on Saturday 24 September. Dance and Physical Education Studies begin on Sunday 25 September and Drama and English as an Additional Language/Dialect (overseas) on Monday 26 September. Aviation begins on 29 September and the Languages orals begin on 15 October. These performance and oral examinations run over the school holidays and include weekends and public holidays. The practical examinations timetable is available on the examination timetable page of our website. 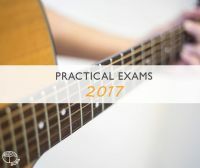 The Personalised practical examination timetable has information about the date, venue time and location of the examination. 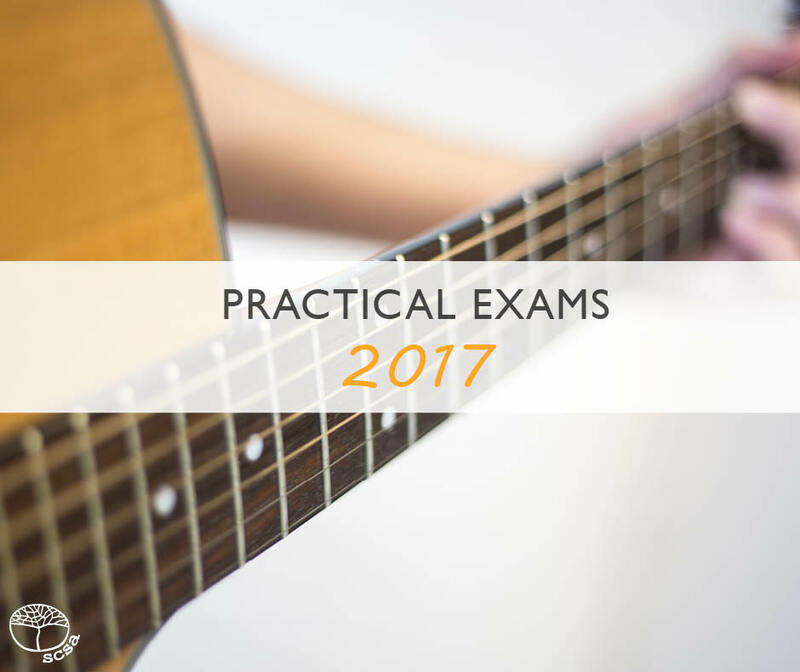 Students must sign their Personalised practical examination timetable and take it to each practical examination they are completing. Remember that a practical examination cannot be rescheduled. There are rules around what students need to do when they are participating in a practical or oral examination. One of these is ensuring anonymity. Students cannot wear or carry anything that identifies them, their school or their achievement. For example, if you are on a state training squad for your sport, you wouldn’t wear the team tracksuit to a Physical Education Studies practical. Likewise, if you are attending a Music practical, you wouldn’t wear your school uniform. Students completing performance and oral examinations may find it useful to check the Year 12 Information Handbook for general information about examinations. It is available on the Year 12 information page of our website. Are you in Year 12, completing a Certificate II or higher qualification and getting hands on experience in an industry related workplace? If the answer is yes then you may be eligible to nominate for the 2016 VET Awards. Speak to your school’s VET coordinator or Workplace Learning coordinator about how to apply. As part of the nomination process you will need to provide a student statement plus a statement from your workplace representative and the VET coordinator so it's a good idea to start early before the actual online nomination. Shortlisted applicants will be interviewed by a panel which consists of two school representatives and one industry representative. If successful at interview you may be awarded a VET Exhibition (for the top student in an industry area) and/or a Certificate of Excellence (for outstanding achievement in VET). The Beazley Medal: VET award is one of two of the highest award for Year 12 students. To be shortlisted for a Beazley Medal: VET award in 2016 you will need to be a VET Exhibition recipient. Download the 2016 VET Awards information sheet and speak to your school for more information. When you’re writing under pressure, like in a test or an exam, it’s easy to think the most important thing is to get the information down. There’s some truth in that. Answering the question is why you’re sitting at that desk. Remember, though, the quality of your handwriting matters. The person marking your paper needs to be carried along with your writing – seeing all of your ideas so you have every chance to get high marks. Right? None of this can happen if your writing is illegible. Legible writing comes down to letter formation. Perhaps you remember learning to write and practising your letters on those pale blue lines. Upstrokes, downstrokes, looping the tail of a 'g' –arms and dots. Perhaps you liked to invent your own letter shapes. Or perhaps you don’t do that much hand writing now – unless you have to, because a keyboard or smart phone is easier. Do you even think about your letters as you write? 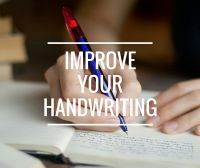 If, in your heart of hearts, you know your handwriting could do with some improvement, read on! Do you write with curves and loops? Or do you write straight? Do your letters run together? Are they recognisable? Do you dot the 'i's and cross the 't's? Does your writing slant, significantly, to one side? Or do you write perpendicular to the lines? Does the angle of words change as you write? Does your writing overlap the lines? Is your writing cramped? (Can you write a single 'o' in the space between each word?) Cramped words can be hard to read. Do you use all (or very little) of the space in the lines to write? Are the lines in your letters even and balanced or uneven and bumpy? Do you ever find it hard to read your own writing? If so, consider changing one or more of these seven areas to improve your writing’s legibility. Still not convinced? Did you know that some of our chief examiners have reported that poor handwriting interferes with student performance? You are your first reader! Whether you’re revising your notes or proofing an exam essay, you are your first reader. This means you must read your own work to ensure it’s as easy to read as possible. When you're checking for clarity of meaning and accuracy you don't need the distraction of trying to decipher your own scrawl. Your next reader is the person marking your work. Do you think of them as you write? Chances are, if you’re not thinking about who you’re writing for, they won’t engage with them as well as you could. 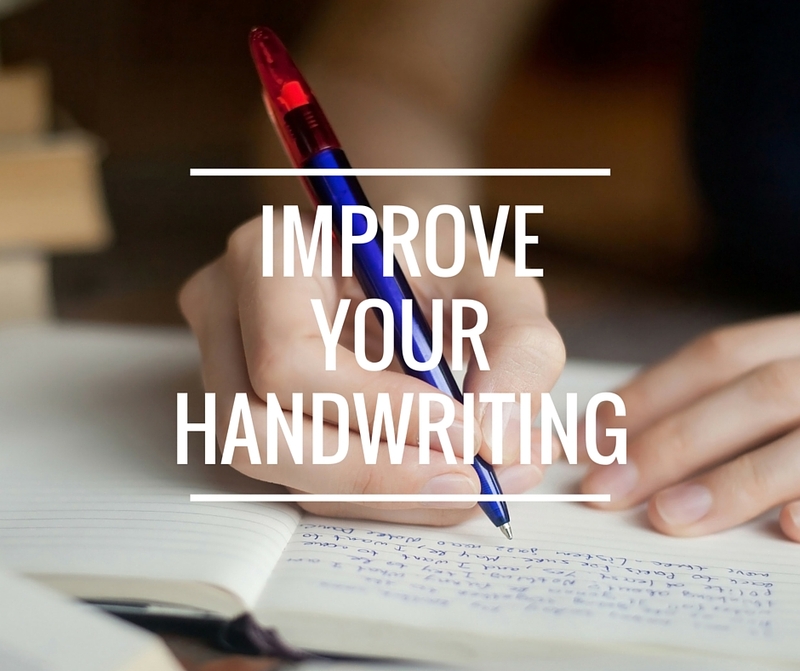 Your handwriting is your written voice – your message to your audience. Ignore being clear at your peril! For some people, the 'way of writing', also known as calligraphy, is an art to be developed. Calligraphy requires practice, care, a dexterous hand and an eye for the visual balance of words or characters and ink on paper. We’re not suggesting you aim for the detail and flourishes of calligraphy but please consider investing some time in writing practice. Write some of your study notes by hand. Use this as an opportunity to work on letter formation and legibility. The aim is to write neatly, but freely. This takes practice. Mark your own ‘neatness’ in your practice essays. Don’t just time yourself getting ideas on the page. Time yourself getting ideas on the page legibly. Look at your handwriting analysis (using the seven steps above) and target one or more areas that need attention. Why not work some exercises (to improve your spacing, alignment, balance or letter shapes) into your routine as a signal to yourself that you’re starting (or finishing) a study session? Find some ‘no pressure’ writing opportunities – a birthday card, a party invitation, a note to a friend, or a postcard. How many skills that involve hand and eye coordination would you expect to master, if you rarely practise them? Make time to improve your writing. It will be a sound investment. Choose your tools wisely. A pen that sits well in your hand and writes smoothly as you move it across the page is important. If you have to use a pencil, make sure it’s sharp. Try your pen (or pencil) before you buy it, to find one that works well for you. Your sitting posture matters too. Yes, it’s true! If you sit with your back supported, your body angled forward, and your feet on the ground, it will help your writing; especially if you’re going to be putting pen to paper for an extended period of time. Some people write most neatly when they can move their shoulders and forearms freely. Posture is important! Is your head supported? Your head should be supported by your neck, not by your spare hand. If your spine is not aligned properly and you’re leaning to rest your head on your hand, your head is not properly supported. In fact, your ‘spare hand’ is not really spare at all. It should be holding the page steady and moving it as you work your way along it. Get a grip! In the mix with good posture is good grip (or grasp). The way you hold your pen affects your posture. If your grip is too tight, you become tense. Remember to keep your wrist and arm loose. Ideally, the movement of the pen across the page should be fluid and relaxed. Be aware of how you hold your pen. Our role as educators is to support students to develop the skills for life at and beyond school. After 13 years of schooling every student should be able to leave school with at least a minimum level of literacy and numeracy that will ensure they can meet the demands of everyday life and work. Young people leaving school need to be able to complete tasks such as writing a job application and balancing the family budget. Beyond that, they need to be able to engage in the ongoing learning that comes with further training and education. The community – including universities, training organisations, employers and industry – has been explicit that a clear, minimum standard is essential as a starting point for students moving into life beyond school. The results for the March round of the Online Literacy and Numeracy Assessment (OLNA) were recently released to schools. The changes to the WACE requirements that come into play this year mean there are going to be some students who are concerned about their OLNA results. In response to feedback from schools, the results we have released include information to help schools target support for students. This diagnostic information will be very helpful to schools because it includes details about individual student performance for all students that have not yet demonstrated the standard. These Category 1 and 2 reports detail the skills and understandings students found the most challenging in the assessment. Schools will be able to use this information along with school-based assessments and observations when identifying areas requiring support and planning intervention strategies for individual students prior to the September round of assessments. For the WACE to be valued and respected it must involve a rigorous and acceptable standard. To achieve a WACE, students need to meet all of the requirements and demonstrating the literacy and numeracy standard is just one of these. It is important that everyone understands that there is no exemption or exclusion from demonstrating the standard. All the requirements need to be met in order to achieve the WACE. However it is important that students understand that they are able to accumulate results for a WACE over a lifetime. A student’s results and achievements can be ‘banked’ indefinitely. There will be opportunities for students to continue to accumulate results after leaving school until they meet the requirements of the WACE. This includes demonstrating the literacy and numeracy standard. I recognise that many students, for a variety of reasons, may not be able to demonstrate the minimum standards of literacy and numeracy by the end of Year 12. For that reason, the Board of the Authority announced that all students in Western Australia will receive a Western Australian Statement of Student Achievement (WASSA). This document will provide a record of all that a student has achieved over the senior secondary years. The WASSA will be used by TAFE at the point of entry to look at what a student has achieved and will also be used by employers to determine achievement in courses applicable to their industry. In the instance where students have not met one or more of the elements of the OLNA, I understand that TAFE will be providing additional literacy and numeracy programs which can be taken in conjunction with Certificate courses. The final point I’d like to make is that there are many requirements to be met to achieve a WACE. Meeting the literacy and numeracy standard is just one of them. There is information on our website. You’ll find it in the OLNA section under the Assessment tab of our Years 11 and 12 website at http://senior-secondary.scsa.wa.edu.au/assessment/olna. If you are in Year 12, or have a child in Year 12, you may have heard about externally set tasks, which are also known as ESTs. This new moderation process is part of the Western Australian Certificate of Education (WACE) reforms. 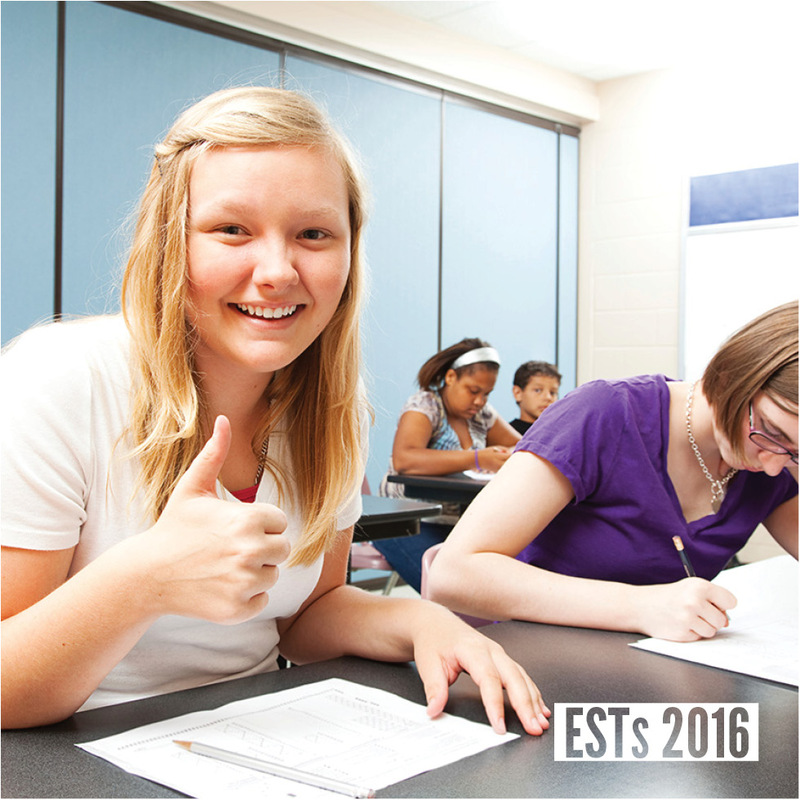 Starting in 2016, all students enrolled in a General Year 12 course and/or a Foundation Year 12 course are required to complete the EST for that course. Each EST is 50 minute written assessment which students complete under standard test conditions. It contributes 15% to the student’s school mark for the pair of units. Why do we need ESTs? The EST provides a common reference point for student assessment in a course. This promotes fair assessment of student achievement. Using a common task and marking key will support shared understandings among teachers and will model best assessment practice. Teachers will be able to apply the elements of the EST to their development of other assessment tasks and marking keys. How will the ESTs work? In Term 3 of the year before an EST is held, the Authority identifies the content to be assessed in the task. Schools are informed of the content in the year before the EST is conducted so the teacher can cover the content at an appropriate time. The Authority then develops the tasks based on Unit 3 content from the course. In Term 2, the Authority distributes the tasks to schools. The schools then administer the ESTs (in 2016, this is between 16 May and 3 June). 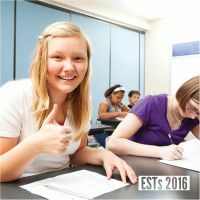 Students might complete the ESTs in class, as for other assessment tasks, or as part of their school’s Semester 1 Year 12 examinations timetable. Teachers mark their students’ work using a marking key provided by the Authority. Schools then send the mark for each student enrolled in Unit 3 and Unit 4 to the Authority. The Authority will select a random sample of students from each school for each course. The school will scan the EST scripts for these students and upload the scripts to the Authority. The Authority will independently mark the selected scripts and provide the school with feedback. Teachers will then review the marks for the sample of students and, where appropriate, adjust their marking practices. What about students with disability? As with other timed assessments, there is opportunity for students with disability to apply for appropriate adjustments. The Guidelines for disability adjustments for timed assessments are available on our Years 11 and 12 website at http://senior-secondary.scsa.wa.edu.au/ under the assessment tab. 12 August – the EST feedback report for each courses will be available to schools. For more information, see the Externally Set Tasks Handbook, available on our website http://senior-secondary.scsa.wa.edu.au/assessment/externally-set-tasks. If you have a query about the EST process, email info@scsa.wa.edu.au. This week, from Tuesday 10 May to Thursday 12 May, students in Years 3, 5, 7 and 9 from across Australia will sit the National Assessment Program – Literacy and Numeracy (NAPLAN) tests. If you have a child who is about to sit the NAPLAN you might be concerned about test-related stress and the expectations of performance. I want to take this opportunity to run through why the NAPLAN is a useful tool and nothing to fear. First of all, the NAPLAN tests are designed to sit within a student’s assessment program. They build on the skills and understandings students are expected to be assessed on throughout the year. The content of each test is informed by the Australian Curriculum (English and Mathematics). In Western Australia this means that students are being tested on skills developed over time through content from the Western Australian curriculum syllabuses for English and Mathematics. These syllabuses are available on our website at http://k10outline.scsa.wa.edu.au/home/p-10-curriculum/curriculum-browser. When students are engaging with the curriculum they are developing skills and understandings that they can draw. Teaching the curriculum equips students to complete the tests. The assessments have always been intended as what is known as a point-in-time snapshot. This means they are not expected to give a full picture of a student’s knowledge and abilities. What they provide information of a student’s performance on one day. The information this snapshot provides is useful to teachers and schools because it provides a strong comparison of their students in relation to other students of the same year group at that same time. This helps schools put support in place for students. Information from the tests identifies strengths as well as weaknesses. If your child has specific gaps in their knowledge and understandings, the NAPLAN results can help pinpoint these. Your child’s results can be a useful starting point for conversations with classroom teachers and school staff. The point-in-time information is enhanced by being in the context of the larger student population. It can also confirm ongoing student performance. In situations where support, and possibly intervention, is needed, information from the tests can confirm starting points which are likely to have been emerging through a student’s classroom performance. As students move through school, their performance on tests provides a measurable map of their progress in the context of their own past performances. The ongoing performances of their year group is also indicated. This provides a starting point for conversations with a student’s teacher and school. The literacy and numeracy skills students need for success at school and participation in the world beyond school develop over time. The NAPLAN tests provide information about how students are going at developing these core skills. The skills and understandings students demonstrate in the literacy assessment include spelling, grammar and punctuation, developing and organising ideas and showing understanding of texts. The numeracy assessment involves problems relating to content strands from the mathematics syllabus. In Years 7 and 9, the numeracy assessment involves two parts; one where a calculator is allowed and one where a calculator cannot be used. As with any test or assessment of a student’s performance, the expectation is that the student performs to the best of their ability on the day. The NAPLAN tests are not intended to put students under additional pressure. They are an assessment like any other. The difference is the common questions and timing of the tests to coincide on the same day. The tests reflect the content for the year level. Students are showing what they know in the tests. This is what they are asked to do in assessment activities – including projects, presentations and tests – on any other school day. In closing, I want to address questions that have arisen about NAPLAN, the Online Literacy and Numeracy Assessment (OLNA) and the Western Australian Certificate of Education (WACE). From 2016, students need to demonstrate a literacy and numeracy standard to achieve a WACE. The standard is a description of what is expected of Year 12 students. Students demonstrate the standard through the OLNA. Some students will be able to demonstrate the standard before Year 12 but some will not do this until they are in Year 12. Also, there are provisions for students to continue to work towards demonstrating the standard after Year 12. To ensure students have opportunities to demonstrate the literacy and numeracy standard, they first attempt the OLNA in Year 10. . There are some students who will not need to sit the OLNA because they will have prequalified as demonstrating the standard by achieving a Band 8 in the Year 9 NAPLAN. Some Year 9s are concerned they won’t demonstrate the literacy and numeracy standard required for Year 12. The important thing to remember is that they do not need to demonstrate the standard until they are in Year 12. The Year 9 NAPLAN is not a part of the WACE. It is just that some students demonstrate the standard early and there is no need for them to demonstrate it again in another test. See the information for parents in the NAPLAN section under the Assessing tab of our Kindergarten to Year 10 website http://k10outline.scsa.wa.edu.au/home/assessment/testing/naplan. Year 11 students: Are you considering transferring out of units? want to do when you leave school and the course you are currently studying doesn’t suit your goals. 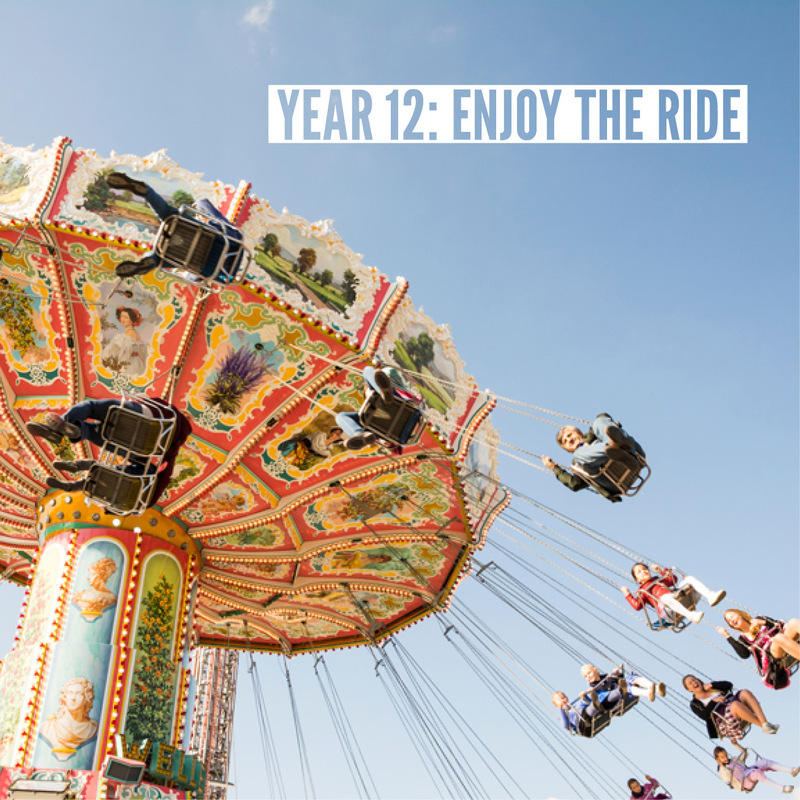 Now that you have completed one term as a Year 11 student you might be thinking about the appropriateness of the course you have chosen. Perhaps you have discovered that certain subjects don’t interest you or the level of the course is too hard or too easy. You might also have decided what you want to do when you leave school and the course you are currently studying doesn’t suit your goals. It is coming up to the time when you need to make a decision about your studies. Transferring out of units that do not suit your interests or abilities might be worth considering. It is a big decision so you shouldn’t make it lightly and be prepared to stick with the decision. one pair of units completed in Year 12 from each of List A (arts/languages/social sciences) and List B (mathematics/science/technology). It is important that you don’t confuse transferring units with dropping units. How will you make up the units you still need to meet the minimum 20 units in the breadth and depth requirement? Will a transfer upset your balance of List A and List B courses in your program of study? If you transfer out of a unit, will you still be in a position in Year 12 to complete a pair of List A units and a pair of List B units? The Authority is clear that the responsibility is on the individual student and the school to make sure a student’s course selections meet the List A/List B requirements. Consider your plans for when you leave school. If you have an idea of the courses or training that you hope to pursue, you should be clear about any pre-requisites required. Do any of the courses you are interested in studying at university or TAFE have pre-requisites? Do the courses you are currently studying meet the pre-requisites? Will transferring units help you to maximise your potential? Developing your areas of strength may also have a positive impact by allowing you to focus your time and energy to improve your performance in other courses. You are most likely to perform at your best when you are interested and challenged which could also mean continuing on with the course you have already chosen. If you transfer out of units, assessment programs will need to be completed; you will need to catch up on any content that you missed prior to transferring. Are you able to balance this with your other courses? Remember, schools need to make arrangements and decisions relating to students transferring units in line with their assessment policies. There may be timetabling and resourcing issues at your school that mean you can’t transfer in or out of courses. 6 May 2016 is the recommended last date for student transfers between pairs of Year 11 units (E-code). 5 August 2016 is the recommended last date for student transfers from single Year 11 units for Semester Two. Please note that in Year 12 you will be enrolled in pairs of units and cannot transfer from one course to another. Make sure you have discussed any proposed changes with you parents and key staff at your school. Finally, regardless of the units you enrol in and the programs you complete, it is important to always do your best. Thank you to everyone who replied to our survey. Your feedback has been invaluable in determining how to approach updating the website. The Authority website carries a lot of information and it divides into three sites. These are the main Authority website, the K–10 website and the Year 11 and 12 website. We have had these three sites for a while. In the past, users could get to each of the sites from the main Authority home page. This was ok but not ideal. We found that it could be confusing for people to find their way forward and back between the sites. What we have done with the new site is bring the three sites together. Each site can be reached via a tab at the top of the navigation bar. Jumping from one to the other by way of the tabs means people using the sites will be able to see where they are more easily. The tabs will always be visible, so users will always be able to ‘find their way back’ to any of the sites. Some materials, like the P–12 Activities Schedule and the Circulars relate to all years of schooling. You will find links to these materials are located on each of the sites. In other cases, information might be of interest to people visiting the K–10 site and the senior secondary site. The OLNA is an example of this. It involves students in Years 10, 11 and 12. This means we have links to OLNA information on both the K–10 site and the senior secondary site. Each site links to the extranet – the secure area for teachers to access materials and resources. We have a vast number of users. There are around 30 000 teachers in Western Australia and there are over 400 000 students from Kindergarten through to Year 12. The Authority websites provide information to teachers, school leaders, parents and students (particularly students in Years 10–12). Delivering information to so many users in distinct user groups can be a challenge. We expect the clearer division into the three sites will be helpful. 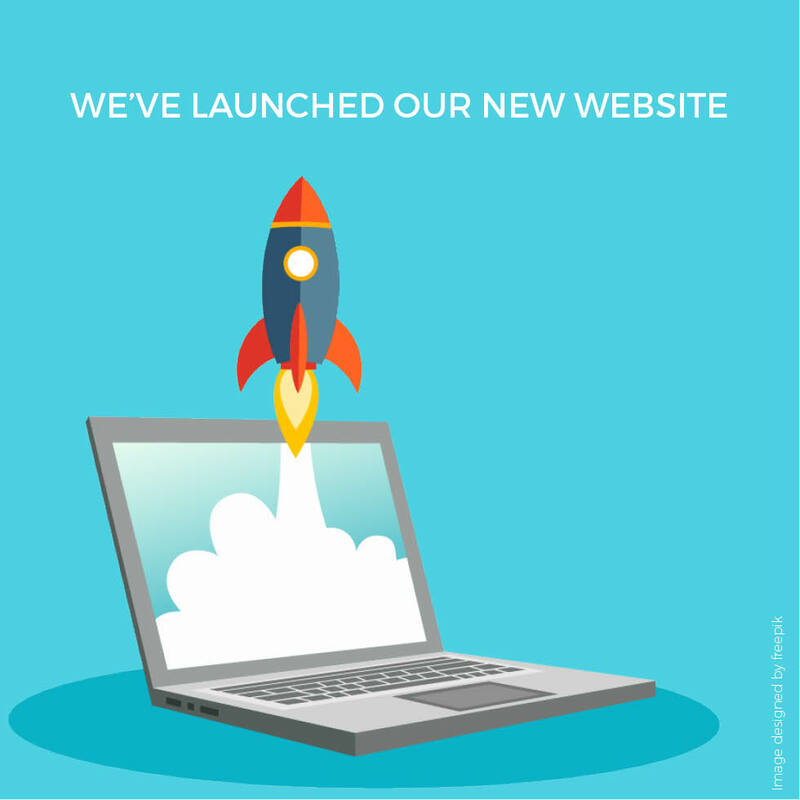 In addition to the sites we are launching today, we are looking forward to launching a website for parents later this year. The parent site will become the fourth tab at the top of the website. Teachers, who are registered with TRBWA, are able to access resources in a secure area on our extranet. The extranet has been expanded to include materials for teachers from Pre-primary to Year 10 along with the materials for senior secondary teachers. We are expanding our social media activities by introducing a new Facebook page that will provide general and administrative updates for teachers and school leaders. We would appreciate your feedback. Please let us know what you think by emailing LMShelp@scsa.wa.edu.au. If you’re in Year 12 you’ve probably been told more than once that this is an important year for you. There will have been the chats about staying on top of your work, dealing with stress, trying your best. I could go on, but you don’t need me to. You’re living this challenging, exciting time already. Yes, even if the assessments are coming in and you are starting to feel edgy about doing everything you want to do – but my ATAR! ... my portfolio for TAFE … I want my dream job – this is an exciting year. Year 12 can be amazing. Knowing what you’re working towards and how to get there will help. Whatever you do and however you go this year, you’re going to finish with a WASSA, properly known as the Western Australian Statement of Student Achievement. The WASSA lists everything you have done as a senior secondary student. Achieved any of the WACE requirements? They will be listed. Completed WACE course units? Your school grades, school marks and – if you did ATAR units – your combined scores will be listed. Completed any endorsed programs or gained any VET qualifications? They’ll be there. You’ll find more details on the WACE requirements and certification page of our website. The WASSA gives the detail of what you have achieved as a senior secondary student. You will be able to use it when applying for jobs, training and further study. It is an official record that you will be asked to provide well into the future. If you meet the requirements of the Western Australian Certificate of Education, you will receive a WACE. The WACE shows you have achieved – or exceeded – the required minimum standards in an educational program that has suitable breadth and depth. meet a minimum achievement standard through the number of level of C grades attained. You should familiarise yourself with the detail of the requirements and know what you are working towards. What is in the Year 12 Information Handbook? Why do you need to read it? The Handbook brings together information you need to know. It explains information you need to provide and things you need to do. If you’re sitting ATAR course exams, the Handbook is a starting point. It has information about preparing for the exams but also what you are expected to do during an exam. There is information about school assessments, including the externally set tasks for General and Foundation courses. It is for Year 12s but information will also be of interest to parents and teachers. The important dates listed in Appendix A are worth noting! You’ll find the Handbook under the Publications tab on our website. I’m not suggesting you fill your time with social media. That said, the Authority has a Facebook page and Twitter feed for information related to students. We use social media as a way to extend the reach of what the Authority posts in notices on our website and communicates to schools. You won’t miss out if you don’t follow or like us, but it is a convenient way to access timely information. Facebook and Twitter are also places where you can ask questions if you need to. If you need more information, a good place to start is with your teachers and year coordinator at school. Your teacher is the first person to speak with about course content. 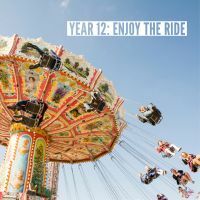 In closing, I want to emphasise that even with all the work, milestones and challenges of Year 12 try to enjoy the year. Be at peace with the idea that this is your work for now. Work hard but remember to be kind to yourself. As the summer holidays draw to a close many teachers and school administrators are already preparing for the school year. I hope that everyone getting ready to return to school has had a good break and is able to enjoy some more of it. We released the Authority’s Guidelines for disability adjustments for timed assessments (Guidelines) today. The Guidelines summarise the adjustments that may be appropriate for a particular student in NAPLAN, OLNA, ESTs, school-based timed assessments for courses and ATAR course examinations. The Guidelines bring together the explanation of the adjustments that may be available into one document supports students, their families and schools as they progress through the assessments that are a part of the schooling. We have developed the Guidelines in response to feedback from teachers, school administrators and parents. I want thank everyone involved in developing the Guidelines and to take a moment to reflect on how they connect with the vision we have for our work at the Authority. Like most organisations, the Authority has a vision statement that sets out what we want to achieve. Our vision is ‘to provide quality curriculum, assessment and reporting of standards of achievement of all students studying the Western Australian curriculum, so that they become confident, creative learners and active, informed citizens who contribute positively to society’. This statement connects a number of ideals. In particular, it embraces the rights of all students to participate in quality assessment as part of their schooling. As part of our work towards meeting the needs of all students we embrace the Disability Standards for Education 2005 (the Standards) and the Disability Discrimination Act 1992. The Standards require that ‘reasonable adjustments’ are made to assist students with disability to participate in education on the same basis as other students. A reasonable adjustment helps students with disability to participate in education while taking into account the student’s learning needs and balancing the interests of all parties affected, including those of the student with the disability, the education provider, staff and other students. The appropriateness of an adjustment will depend on the nature of both the assessment and the disability. Any consideration of an adjustment for a student needs to begin with consideration of the disability itself. A formal diagnosis is a part of this consideration. In the interests of equity and fairness, the use of an adjustment needs to meet the interests of everyone involved. What is in the Guidelines? outline the processes for applying for and/or making adjustments. You will find the Guidelines on our website. Here we are at the end of Term 4, 2015. Where has the time gone? So, the curtain has come down on the school year, I’d like to say thank you to everyone who has been a part of our work in 2015. It has been a big year for all of us here at the School Curriculum and Standards Authority. Thank you to the hundreds of teachers across the state from all the school sectors and systems who have worked with us in collecting work samples, taking part in pilot groups, developing resources and providing feedback. In 2015 we have seen the successful implementation of the first courses in the Western Australian Curriculum and Assessment Outline. Students from Pre-primary to Year 10 received reports on their achievement in English, Mathematics, Science and History. Well done to everyone during this first year of implementation. Next year will be an opportunity to consolidate this year’s work and build towards implementation of HASS and Health and Physical Education in 2017. In just a short while, thousands of students across the state and in our international partner schools are going to receive their final results. These days, hard copies of the results are mailed out but students don’t have to wait for the post to arrive. On the day in question (December 30 this year) a button is pushed and everyone’s results go live online. Students only get to see their own results. It isn’t like those days where people who matriculated and the results were published in the local paper. 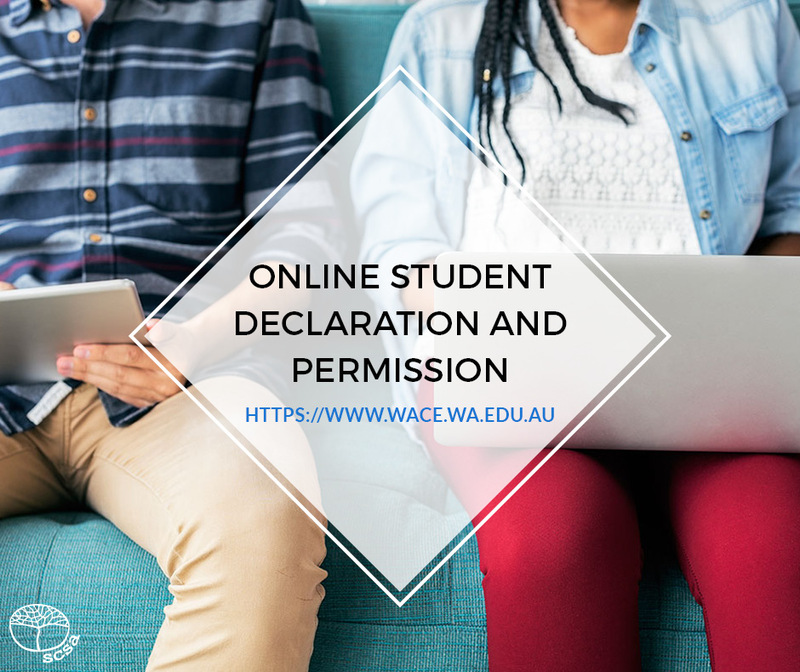 There is a secure website for students at https://www.wace.wa.edu.au. The online release means the wait ends for everyone at the same time. There’s no three day delay for kids living in the country. 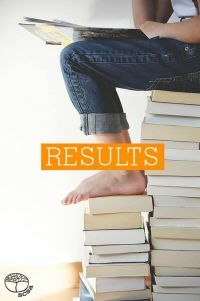 If you are away on holidays you can check out your results online. If you’re a student waiting for your results, I know that it can be an anxious time. Remember, though, whatever your results for Year 12, the new year will bring new challenges and new opportunities. I wish you all the best and encourage you to embrace them. Welcome back to the final term for 2015. Term 4 brings together all the hard work teachers and students have done over the year. End-of-year reports are being written and judgements made about how far students have progressed. This is the first year of reporting against the Western Australian Curriculum Achievement standard for English, Mathematics, Science and History for Pre-primary to Year 10. The Achievement standards come to us from the Australian Curriculum. They are part of the Western Australian Curriculum and Assessment Outline. In coming years, the remaining learning areas – of Humanities and Social Sciences (HASS), Health and Physical Education, Technologies, The Arts and Languages – will be implemented. We have been working with teachers and staff from the Department of Education, Catholic Education Western Australia and the Association of Independent Schools of Western Australia to develop materials for the Outline. The Pre-primary to Year 10 syllabuses were published earlier this year. Teachers will familiarise themselves with the new Humanities and Social Sciences (HASS) and Health and Physical Education syllabuses in 2016. They will start teaching with them in 2017. The new syllabuses for Technologies, The Arts and Languages will be used from 2018. The WACE practical exams began at the end of Term 3. Thousands of students have submitted portfolios and taken part in oral and performance examinations. In just a couple of weeks even more students will start the written WACE examinations. The WACE exams are a major undertaking. They are a milestone for many students who have been working hard to reach this point. Teachers, families and friends have been also a part of this journey. Our thoughts are with everyone involved in the exams – students, teachers, examiners, supervisors, families. We wish you well over the examination period. Remember that balance is important. Students need to sleep, eat sensibly and exercise as well as study in order to be in top form. Many Year 11s will also be preparing to take their end-of-year exams. We also wish everyone who is a part of these exams the best for a good exam season.